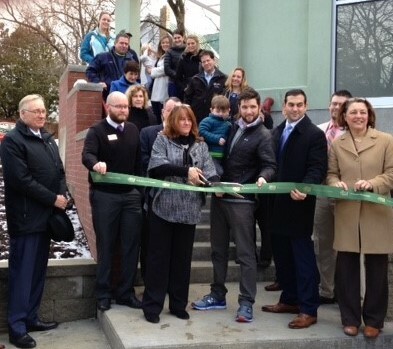 The Children’s Museum at Saratoga held their kick off Grand Re-Opening with a ribbon cutting ceremony. The museum has undergone exciting changes and updates including a new program room and two new exhibit spaces-the Sensory Integration Room and the Saratoga Springs Rotary Club STEM room. Joining Executive Director, Michelle Smith is Mayor Joanne Yepsen; Peter Bardunias, President/CEO of The Chamber of Southern Saratoga County along with fellow museum directors and volunteers. A special plaque was presented to Sonny Bonacio of Bonacio Construction Inc. for their hard work and dedication to making the expansion and renovation of the museum a reality. 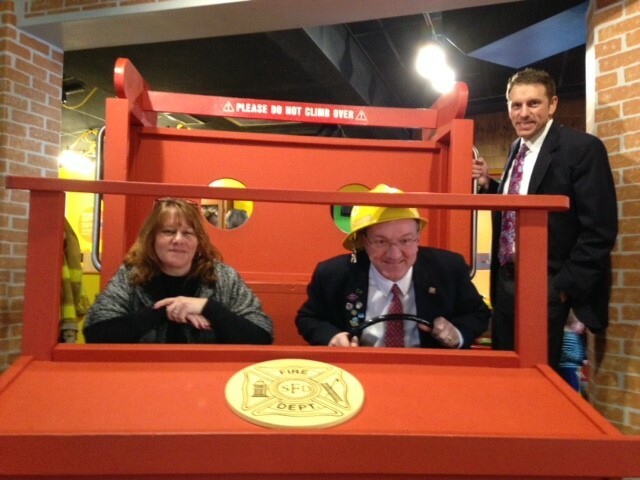 Pictured in the fire truck is Michelle Smith, Executive Director of The Children’s Museum at Saratoga along with Peter Bardunias, President/CEO of The Chamber of Southern Saratoga County with Aaron Ditch from Capital District YMCA Southern Saratoga Branch and Chamber Ambassador.